The US wants more war because it means more profit and distracts from the social problems. The US tries to paint Pyongyang as the world’s enemy, however, we know who the true aggressor is, says international affairs commentator Daniel Shaw. 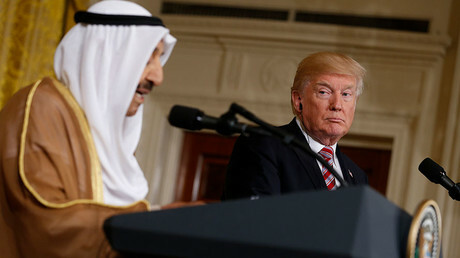 The US president has offered to help Middle East countries resolve the blockade of Qatar, a country which he branded a sponsor of terrorism just a few months ago when Saudi Arabia, Egypt, Bahrain and the UAE cut diplomatic and transport links with the Gulf nation. The US maintains a significant military presence in Qatar with the biggest air base in the region; around 11,000 American troops are stationed there. Just weeks after welcoming the blockade, President Trump approved a fighter jet deal with Qatar worth $12 billion. RT talked to the international affairs commentator Daniel Shaw and explains the US always puts its military interests first. RT: What do you make of the latest statement from President Trump? Is he trying to de-escalate the situation? Daniel Shaw: The US has done nothing to de-escalate the situation; they’ve always intensified and escalated the situation. If the US were serious about peace in the Pacific, they would immediately withdraw 50,000 troops from Japan, 30,000 troops from South Korea, and the 4,000 troops they have in Guam. 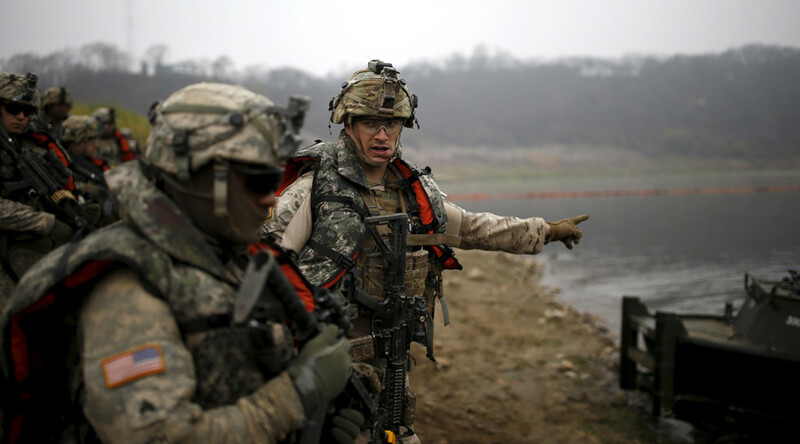 All of these war exercises are provocations the South Korean government and the US military run together. This has really put North Korea on the defensive despite everything the US media says about North Korea being the aggressor. We know who the true aggressor in the Pacific is. RT: In the very same speech, criticizing North Korea, the US leader mentioned Kuwait's purchase of new American fighter jets. Is it just coincidence or is he trying to tout US military power? DS: The US is always trying to tout their military power and use it to intimidate anybody in the world expecting any sovereign country to cow before US military might and constantly trading in arms with Kuwait and Saudi Arabia and Qatar. These are some of the most unequal, violent societies in the entire world. So, we see, as always the hypocritical nature of the US military. What North Korea has said is “what is good for the goose is good for the gander.” If you all can stockpile weapons and try to intimidate us and surround us, then we are going to come out fighting and defend ourselves. You have backed us into a corner, and we are going to act like a panther because you have given us no other choice. RT: The North Korean ambassador to Russia said the US is disrupting international efforts to resolve the crisis. Does he have a point, considering Washington rejected a dialogue plan from Russia and China? 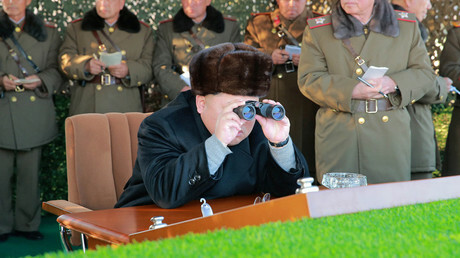 DS: The North Koreans, the South Koreans, the peoples of the world want dialogue and negotiations. The US media is also chiefly to blame: CNN, MSNBC, the entire gamut of mainstream networks is constantly painting North Korea as the aggressor and every day in this country people wake up to the news that we could potentially face a nuclear holocaust. But who has Pyongyang ever attacked? The US has always been the aggressor. So, yes, we should blame the US because Russia, China and South Korea itself have tried to play a mediating role. But it is very clear what the US wants – they want more war, war means more profits, it means a distraction. They can point the finger away from all the social problems – with white supremacy, and racism and fascism - and try to paint Pyongyang as the world’s enemy.